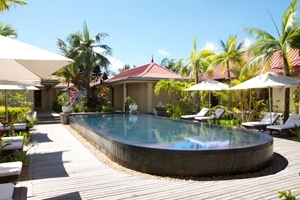 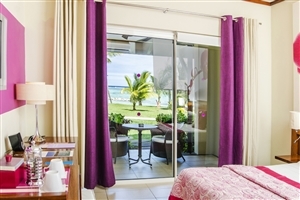 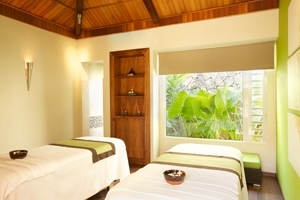 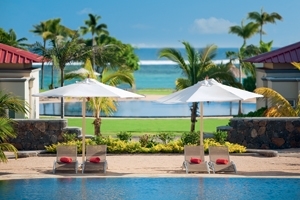 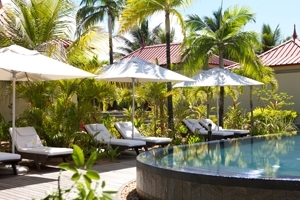 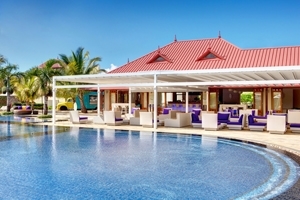 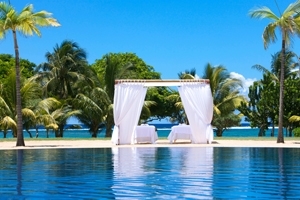 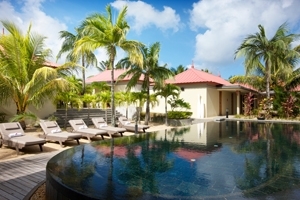 Discover the magic of Mauritius with a stay at the lively and luxurious Tamassa, an All Inclusive Resort in Bel Ombre on the stunning southern coast of the island. 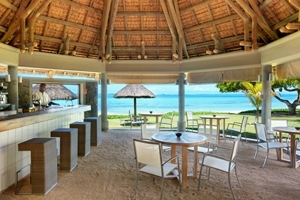 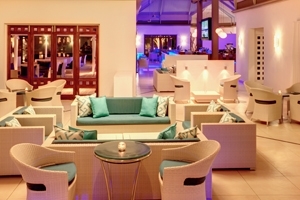 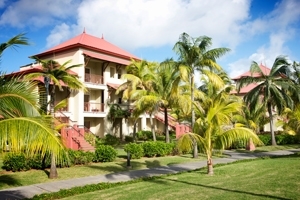 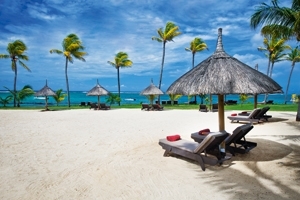 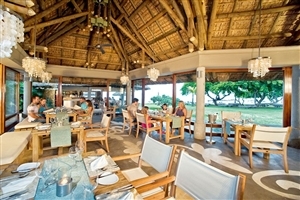 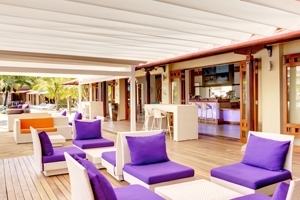 A colourful Mauritius holiday resort with a vibrant spirit, Tamassa offers a fine blend of relaxing amenities and exciting facilities, which is why you can watch movies on the beach at dusk, sip cocktails in a hammock or simply take a stroll along the white sandy beach. 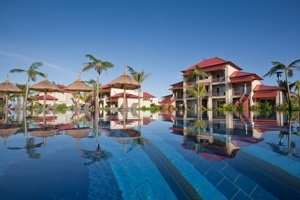 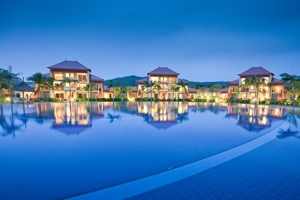 Tamassa is a contemporary resort for the young and young at heart. 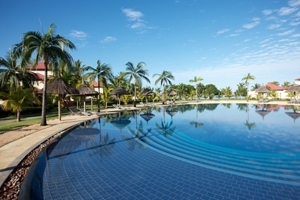 The charming resort of Tamassa, an All-Inclusive Resort is located on the south coast and combines a picture postcard location with contemporary design. 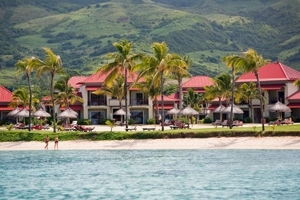 The resort is set on a fantastic sandy white beach, beyond which is a beautiful turquoise lagoon. 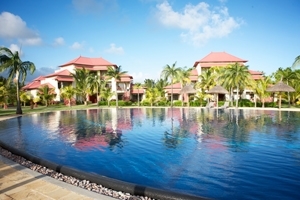 Recreation facilities are extensive and include an exotic spa, watersports, three delightful swimming pools, tennis and a gym. 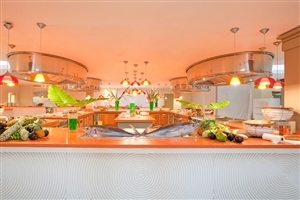 With 64 interconnecting rooms, a kids' and teens' club, this hotel is perfect for families and couples. 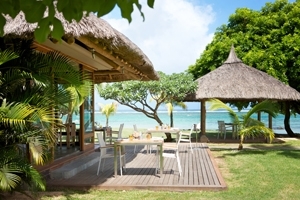 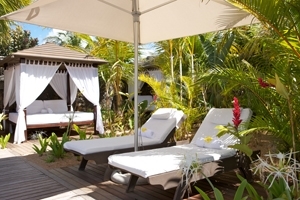 With its privileged location along the pristine sands of Bel Ombre on the south-west of Mauritius, Tamassa, an All-Inclusive Resort lays claim to one of the island’s most revered stretches of beautiful beach. 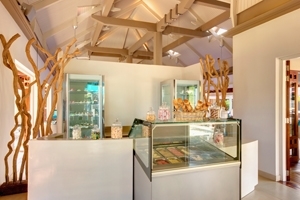 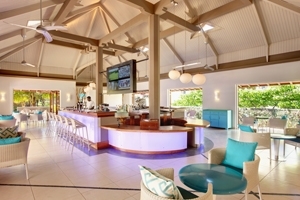 Furthermore, Tamassa is committed to treating each and every guest to original, unexpected and delightful experiences through the adoption of its unique Island Light concept. 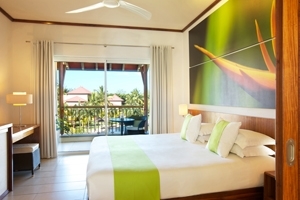 The Standard Room at Tamassa offers guests 43sqm of accommodation space and is distinguished by its bright furnishings and colourful decoration, which endows it with a contemporary ambience. 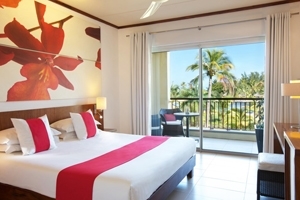 The Superior Room at Tamassa offers guests 43sqm of accommodation space intricately designed with plush comforts and stylish amenities throughout. 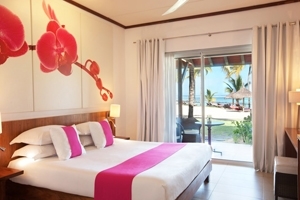 The Beach Room at Tamassa offers guest 43sqm of accommodation space conveniently located to provide direct beach access and superb views across the Indian Ocean. 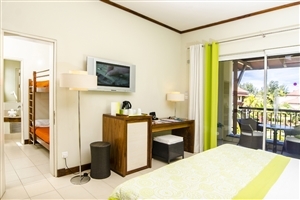 The Deluxe Family Room at Tamassa offers guest 59sqm of accommodation space and are ideal for those travelling with children courtesy of its interconnecting bedrooms, plus a private terrace and the option of bunk beds.